The film is a powerful statement on colonialism, but did it treat its most anti-colonial character fairly? In 2015 an Indian campaign led by Bollywood stars and business figures calling for the return of the Koh-i-Noor, the world’s most famous diamond, reignited a global conversation around the impact and legacy of European colonisation. The diamond sits atop the crown of the Queen consort and is currently locked up in the Tower of London. Like various other artefacts plundered by colonial powers that fill European museums, including the Parthenon Marbles and thousands of objects and artworks stolen from Indigenous Australians, the diamond’s contemporary location has led to countless calls for repatriation, with activists calling on the British government to “right the wrongs” of colonisation. Part of the problem is the lack of consensus on whether colonisation was, in fact, detrimental for those colonised. British historian Andrew Roberts has said that Indians should be “grateful” to the British for “modernisation, development, protection, agrarian advance, linguistic unification and ultimately the democratisation of the subcontinent”. To those who still live with the legacy of colonisation, and the slavery, theft and violence that came with it, those comments make for incredibly grating reading. But whether we like it or not those who continue benefit from it, from Europeans to white Australia and white America, are in denial about it’s consequences. We see it in polls and the lauding of films that pay tribute to colonialism’s staunchest modern defenders. The impact of colonialism and its ongoing trauma is the tension that runs throughout Marvel’s latest release, Black Panther. The film, which hit Australian cinemas last week, is easily the most politically complex instalment in the blockbuster superhero franchise. It is an unashamedly black film, something that is itself a political act when you consider both how white the entertainment industry is, and the resurgence of the far-right and white supremacist groups in today’s politics. And while the film is partly a commentary on the contemporary state of race relations in the US, it asks two pretty specific questions: what would the world look like if colonialism was absent from the history books, and how should those subjected to it and its ongoing impacts respond in the twenty-first century? What If Africa Was Never Colonised? The fictional African kingdom of Wakanda, which serves as the setting for most of the film, is a technologically advanced society whose leaders have chosen to isolate the country from the rest of society in order to protect its citizens. To the outside world Wakanda looks poor and resourceless, but in reality it’s thriving economically and militarily thanks to vast quantities of the most valuable metal on the planet: vibranium. If the world knew Wakanda had enormous vibranium deposits it would almost certainly be targeted by foreign powers intent on plundering the nation’s natural resources. The fictional story of Wakanda gives us an antidote to the real world Scramble for Africa: the colonisation, occupation and partition of the continent by European powers intent on plundering natural resources. While the rest of Africa is subjugated, occupied and enslaved, Wakanda remains hidden from sight, allowing it to develop free from foreign interference. This allows the film to explore how an African nation, completely untouched by colonialism, would hypothetically develop. It also opens up a conversation around what responsibilities (if any) Wakandan’s had in resisting colonisation and slavery, given their technological superiority could have potentially helped fend off imperial aggressors. From what we see in the film Wakanda is an economically stable, egalitarian society with advanced infrastructure. At the same time its culture is deeply rooted in tradition, including its form of government: an absolute monarchy with a wildcard element of ritual combat allowing the leader to be deposed in certain circumstances. It’s a believable representation of how Africa, or really any subjugated land, could have developed without interference. If indigenous inhabitants were allowed to profit from their own resources, instead of having them looted by European powers, what would have prevented the steady social and economic development of what we now refer to as the “developing world”? If indigenous societies didn’t have their culture and traditions eradicated by colonisers, replaced in many instances with European norms of the time, why wouldn’t those traditions have continued through generations and helped form the values underpinning future nations? The world of Wakanda isn’t perfect. There’s political tension and instability. Not all its citizens are happy with the way things work, but the film presents a tantalising vision of an alternate universe where self-determination won out over invasion and enslavement. Which leads us to what role, if any, Wakanda should play in the world around it. At the beginning of the film we’re presented with a montage of traumatic historical events, from the Atlantic slave trade to world wars. Even though the global chaos disproportionately affects marginalised people of colour, Wakanda stays resolute and refuses to engage. Africa and other colonies suffer while Wakanda grows richer and stronger. The debate around whether Wakanda should take a less isolationist stance is the focal point for the tension between the ostensible hero of the film, T’Challa (the Black Panther), and it’s “villain”, Erik Killmonger. We’re introduced to Black Panther‘s primary villain Erik Killmonger, played by Michael B. Jordan, as he’s lecturing a British museum curator on the provenance of African artefacts and accusing her of theft. 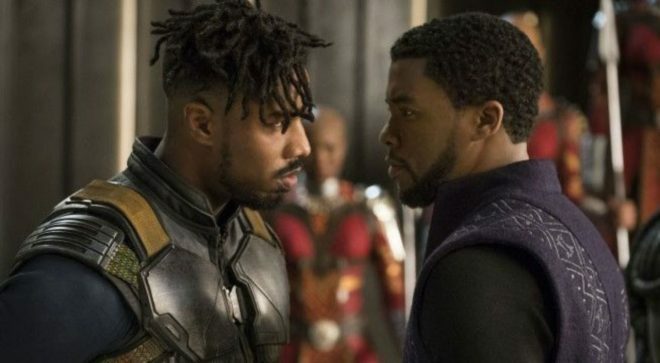 The scene, which mirrors real-world debates, helps establish Killmonger’s anti-colonial politics, which become important later on in the film’s narrative. Killmonger ends up ‘liberating’ the artefact, which was stolen from Wakanda in the first place. It’s a visual representation of what so many former colonies are fighting for right now, and it’s an act that’s hard to disagree with it. But, in order to remind the audience that he’s supposed to be the bad guy, the scene ends with Killmonger and his crew murdering a bunch of people and then handing over the artefact to a white South African of all people, to sell to the highest bidder. It’s that duality that makes Killmonger the most interesting Marvel villain so far. He isn’t some extra-terrestrial creature intent on destroying the entire universe for some weird cosmic reason that only makes sense if you watch The Avengers series in reverse. He’s a Wakandan who was raised in Oakland around the time of the LA riots. He’s experienced the hardship and structural disadvantage experienced by racial minorities in America, and he wants to use Wakanda’s resources to liberate oppressed peoples around the world. 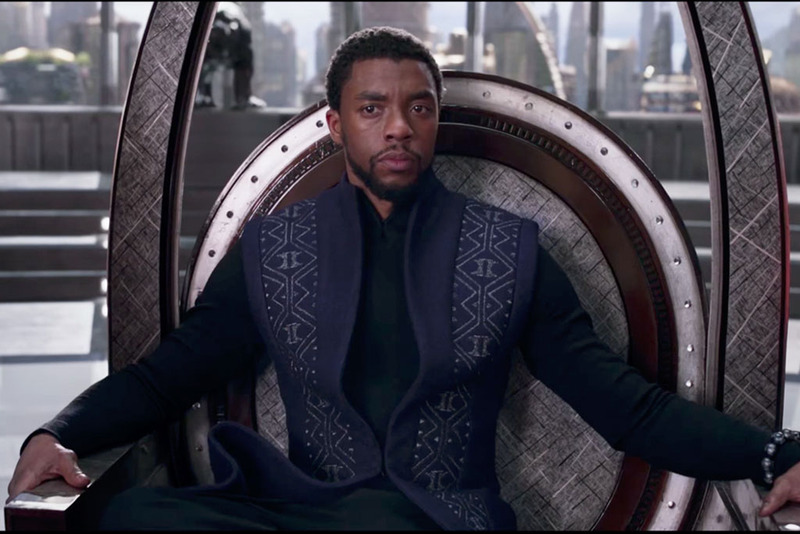 It’s an extremely sympathetic position, yet the film keeps reminding us that he’s the bad guy — he ruthlessly murders his own accomplices and he dethrones T’Challa, nearly killing him in the process. The film encourages us to side with T’Challa, who wants Wakanda to remain neutral, and against Killmonger. We’re told that even though his end goal is worthwhile, it’s too violent and risky. But isn’t the alternative — the status quo — itself enormously violent? By staying neutral Wakanda isn’t preventing violence. Whether it’s civil war, famine, racism, or police brutality, violence targeting people of colour is occurring all over the world. Wakanda, under T’Challa’s reign, is just choosing to ignore it. Killmonger at least wants to do something to end the oppression of subjugated people. Is Killmonger The Real Black Panther? Ironically Killmonger’s political perspective is much closer to the actual Black Panther organisation than T’Challa’s. The Black Panther Party was founded in 1966, just months after the Black Panther first appeared in a Marvel comic, though Marvel’s Stan Lee describes the situation as a “strange coincidence”, rather one taking inspiration from the other. The organisation responded to police brutality by arming members and forming citizens patrols to protect the black community. It was founded in Oakland, California, where both Killmonger and the film’s director, Ryan Coogler, were raised. The Black Panther Party eschewed anti-violence, arguing that a violent political and economic system that oppressed African-Americans necessitated a sometimes violent response. As far as the film goes, it’s quite clear that Killmonger represents a more radical vision of liberation. T’Challa is, on the other hand, a monarch who allies Wakanda with the CIA, an organisation notorious for its interference in global politics, to prevent armed liberation struggles from occurring. It’s as conservative a position as you can take, which is why it’s jarring to see T’Challa described as a “radical” superhero. The film is itself radical in many ways, from its casting, storyline and superb Kendrick Lamar-curated soundtrack, but T’Challa himself is anything but. When he eventually defeats Killmonger he acknowledges that Wakanda can’t remain isolated anymore, but his response is to engage in international diplomacy and trade, and fund charity projects in the US, rather than use Wakanda’s military might. It’s an ending that’s supposed to represent a synthesis of both T’Challa and Killmonger’s ideologies. 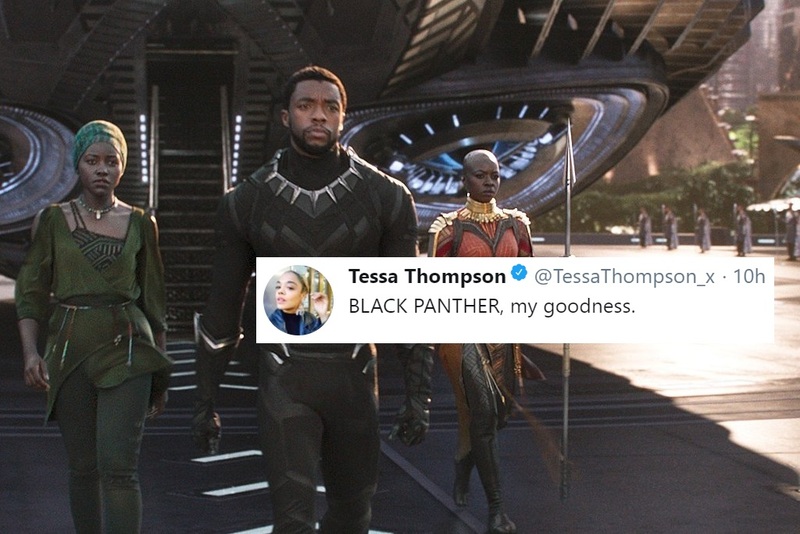 A convenient political compromise that might see Wakanda help the oppressed, but not in a manner that would offend mainstream movie audiences. Even though Black Panther‘s narrative concludes in a fairly typical and conservative superhero manner, the movie canvasses the kind of political perspectives and ideas rarely found in a typical superhero film. By doing so it’s opened up endless opportunities to explore how our world could be reshaped, if Marvel is willing to jettison some of the ideas that acted as a handbrake. An alliance between Wakanda and the CIA surely can’t last forever. One organisation is firmly about protecting western imperialism, and the other is attempting to dismantle it — albeit politely and through diplomatic channels. The fact that T’Challa adopted Killmonger’s basic political goal is also significant. His method might be different, but the film ends by acknowledging Killmonger’s desire for Wakanda to play a role in helping the oppressed was the right one. There’s a lot to play with in the Black Panther universe, if Marvel’s willing to take some risks. What would the world look like if Wakanda had sided against colonisers throughout history, not just in Africa but across India, Asia, the Caribbean and Ireland? 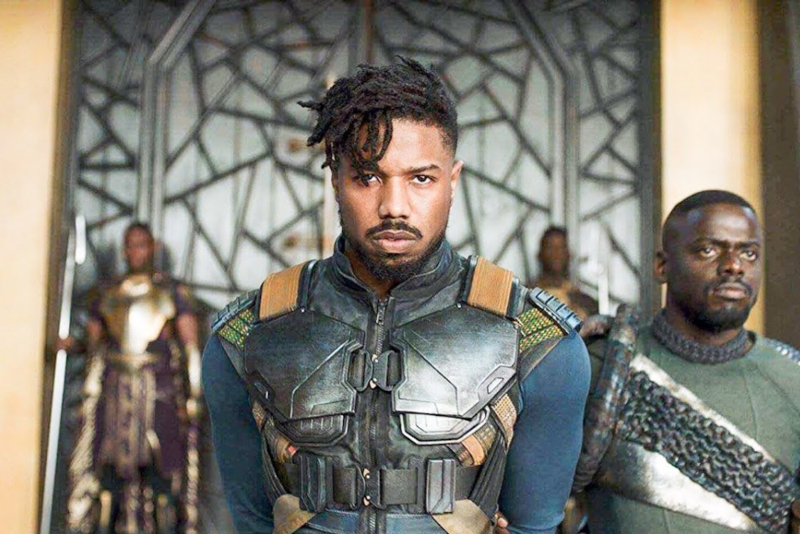 What would happen if Killmonger, or someone like him, had succeeded in leading armed rebellion throughout the contemporary world? Hopefully future Black Panther films will delve into these more radical concepts. The film is already smashing box office records, demonstrating yet again audiences are deeply invested in diverse stories. Sequels are all but guaranteed. 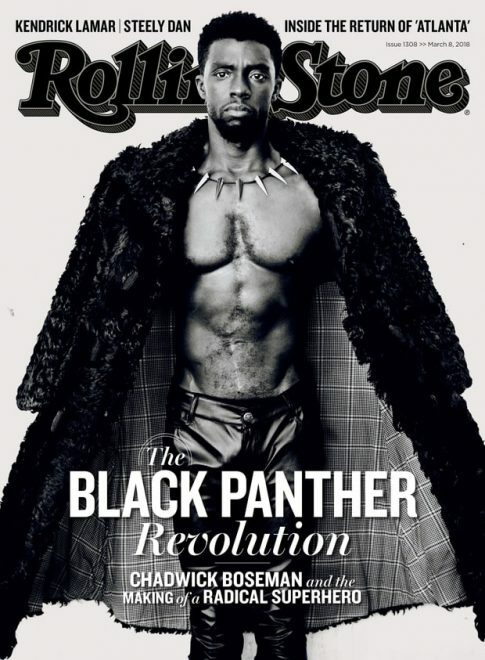 We might not get more Killmonger, but his legacy deserves to live on.